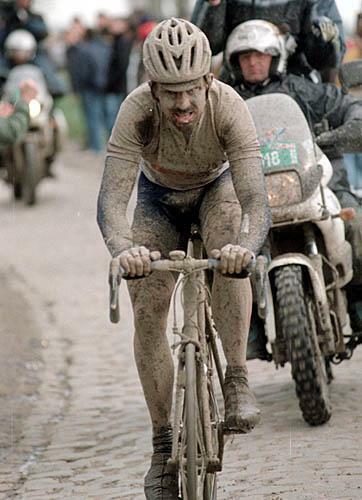 It’s posted in a more apropos home, on the Ritte Van Vlaanderen cycling site. This is my new team, which you’ll certainly hear more about as the season kicks in. Started by my friend and fellow birthday challenger Spencer, it’s pretty much the embodiment of why I ride and sometimes race. To train hard, to have fun, to mix it up at the races, do epic rides, look cool,look really cool, but never take yourself too seriously. 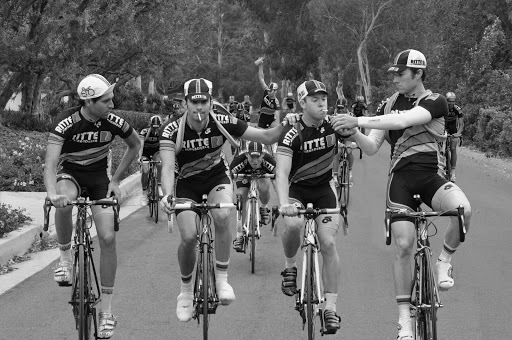 pics: aaron’s favorite doper, the lion of flanders, and the ritte boys doping retro. Damn. I really did think my ride was epic. I'll have to wait for summer here in Phoenix and send you a "it was so hot, the tread on my tires began to melt" post. I'm not actually proud of this. It's one thing to ride yourself into the ground, it's quite another to be buried involuntarily.The Ritte photo is fantastic. I already love those guys, almost makes me wish I lived in L.A. Gonna have to have them come up for our Ronde van Los Padres epic. "No one would do anything if they knew what they were in for. "-Armante CordovaProud or not it's a good story. Aaron this is a good inspiring story, (coming from a climber). Steve, Were you guys like pros? Sponsored?Its quite interesting, first I watch a video (BNN) about steve doing more than 700 first ascents and competing in the national levels and now this.